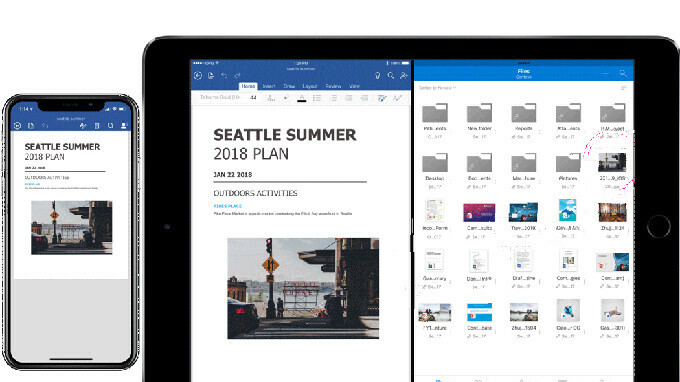 But that's not all, as Microsoft announced that it has added co-authoring in Word, PowerPoint, and Excel for iOS. The new feature will allow you to see who else is working with you in a document, as well as see where they're working and view the changes made. According to Microsoft, the updates for Office and OneDrive announced earlier today are already available to all Office 365 subscribers, so make sure to download the latest versions via App Store. Excellent. I was waiting for this update. Hey do you have this integrated with the files app on your iPad?